Abducted by the odd "flying disks" that are snatching up whole prehistoric tribes, The Doctor and his new friend, the Neanderthal medicine man Munmeth find themselves somewhere else. Someplace where the people Munmeth protects have been taken and are forced to fight one another! 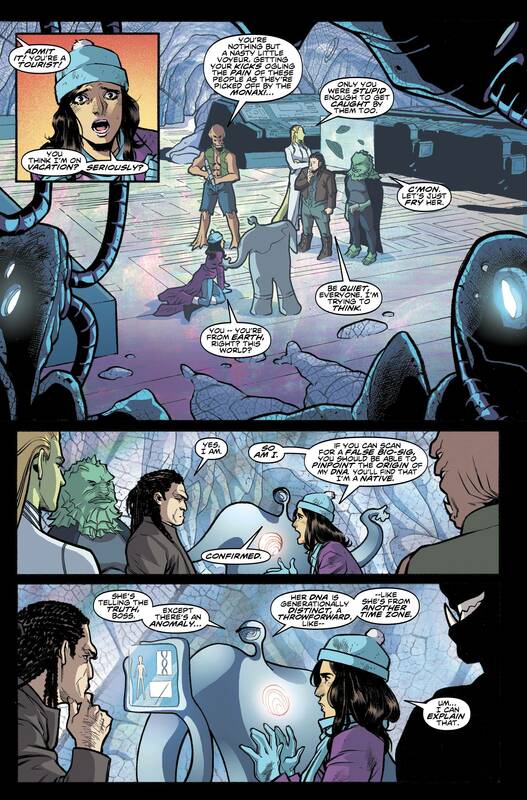 Meanwhile, Gabby finds herself surrounded by a variety of aliens who seem to wish her dead! The tale Nick Abadzis spins here is a riveting one. 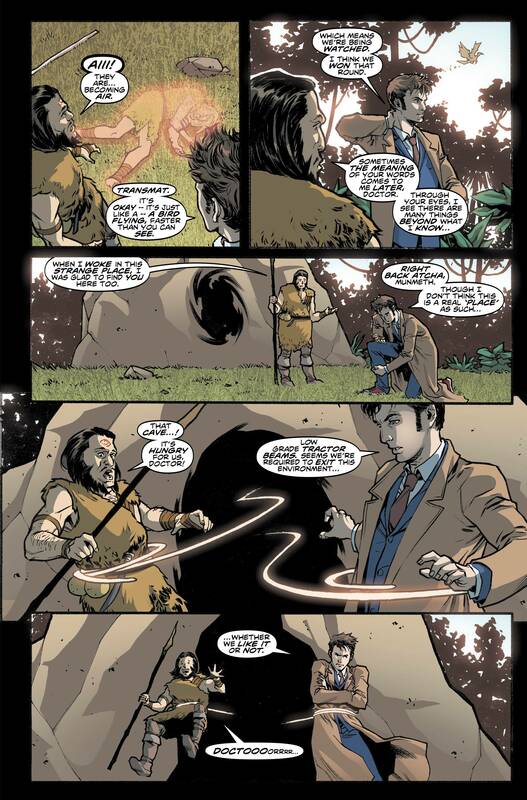 While the alien abductors menace is a common theme to Doctor Who stories, he puts a unique spin on this one by telling the tale from the perspective of Munmeth - a Neanderthal shaman who is something of a Doctor in his own way, in that he helps many tribes with a variety of skills some think magic. And the tone of the Tenth Doctor is perfectly captured as he investigates just what's going on and grows angry at the answers. You can hear David Tenant's voice in your head in these moments. Elena Casagrande does her usual excellent job on the artwork. She skilfully show off her talent as a designer with the various alien races populating these pages. The color art by Arianna and Azzurra Florean vividly completes the pictures, with the final art looking particularly bright and vibrant as befits the primal setting.